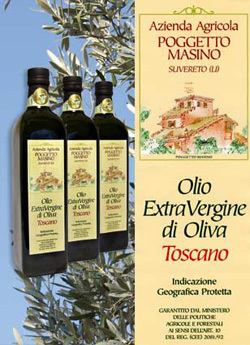 Our olive oil is extracted by a cold process and is chemical free. The term 'Indicazione Geografica Protetta' certifies that our oil, the method of extraction, the quality and the provenience. The varietis typical of the Tuscan region, such as Frantoio, Leccino, Moraiolo, Pendolino e Maurino, are harvested by hand in the right moment of the season.